The name Lake Tahoe was originated from da ow a ga. It was mispronounced in Washoe Native American name. The meaning of this name is edge of the lake. 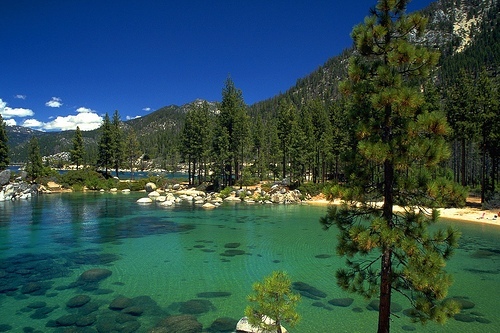 The location of Lake Tahoe is on California-Nevada border. It has the height of 6,225 feet above the sea level. Talking about the rank of the height, there are only 16 lakes higher than Lake Tahoe. 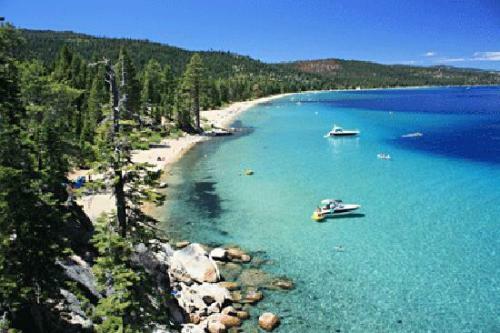 People like to see Lake Tahoe because it is 99.994 percent pure. Therefore, the lake is considered as the purest one the world. It is the source of 60 parts per million of dissolved materials. If you come to Lake Tahoe, you will be amazed with the different colors. The colors are produced because of the light which breaks inside the water in the lake. The center of the lake can make you observe cobalt blue color. The deeper part of the lake tends to come in blue color. You can see a predominate color of violet when the blue light is absorbed by the water. You can see green or turquoise color in the shallow areas of the lake. Check another beautiful lake in Lake Titicaca facts. 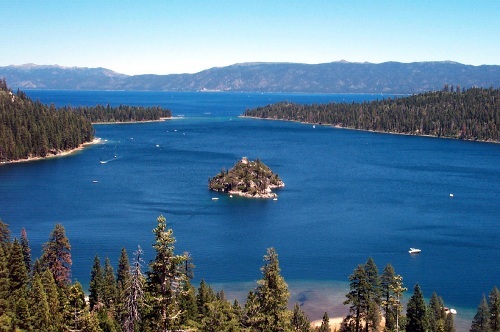 Can you estimate the age of Lake Tahoe? It is around 2 million years old. It is included as one of the oldest lakes in the world. The water in the Lake Tahoe is from the snow and rain. Every year, the lake is filled with 212 gallons of water from the melting snow and rain. Truckee River is the place where the 1/3 water of Lake Tahoe flows. It reaches the river by transporting to the dam. The coldest temperature in Lake Tahoe is in February. It reaches 41.9°F. In August, the lake is very warm because the temperature can stand at 65.7°F. Lake Tahoe has been a home to 53,000 people. On the peak days, there are at least 300,000 people. Each year, it is visited by 3 million people. 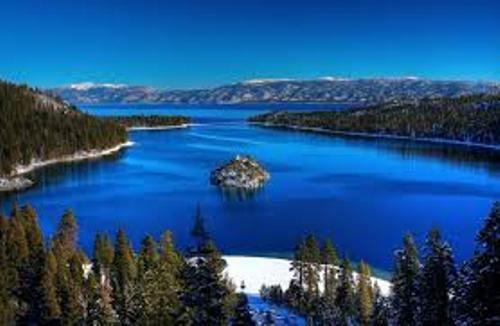 People love to enjoy the beauty of Lake Tahoe and take pictures with family and friends here. 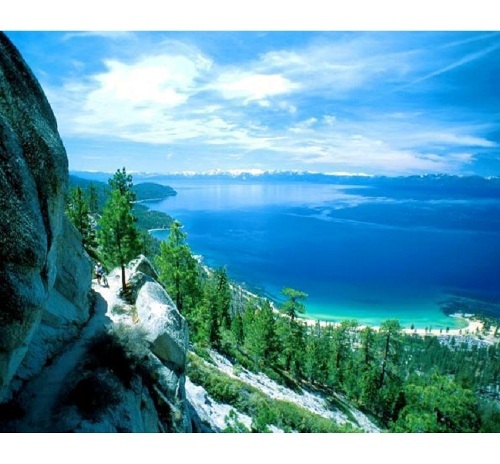 Are you interested with facts about Lake Tahoe?